Any amount of virtual currencies (Bitcoin, Litecoin, Ethereum…). 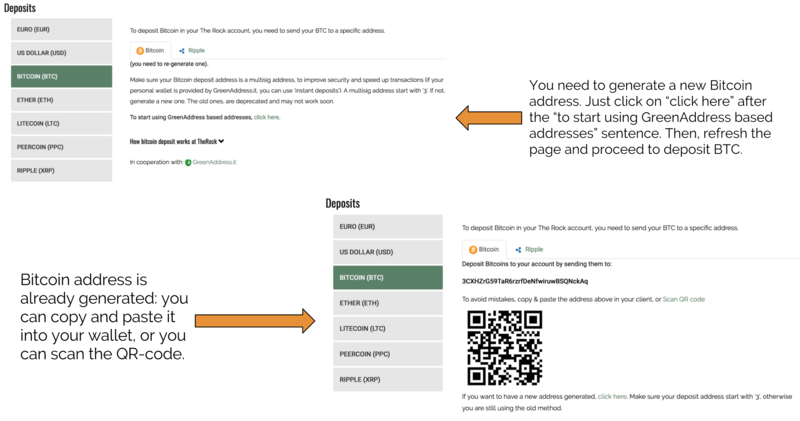 Select the virtual currency that you would like to deposit from the list on the left. If it is the first time that you are depositing that currency, you have to generate an address: just click on the provided link. You can always generate a new address for your deposit, if you want to. Check out more FAQs on deposits and withdrawals here.